This hotel is across the street from The Pines Mall. The hotel features an outdoor swimming pool, a daily continental breakfast and free Wi-Fi. 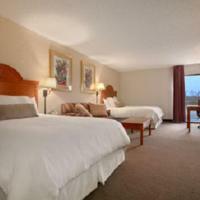 La Quinta Inn & Suites Pine Bluff features a microwave and a refrigerator in every guest room. Coffee makers and cable TV are also included in each room. Guests at the Pine Bluff La Quinta Inn can enjoy the fitness center or the laundry facilities. Free on-site parking is also available at this pet-friendly hotel. AR Delta Nature Center is less than 2 miles from the La Quinta Pine Bluff. The Arkansas Railroad Museum is a 5-minute drive from the hotel. This hotel is a 5-minute drive from Pine Bluff Lake and the Pine Bluff city centre. It offers a seasonal outdoor pool, an on-site fitness room, and free in-room Wi-Fi. The simply furnished guest rooms at Best Western Plus Presidential Hotel & Suites Pine Bluff including a microwave and refrigerator. Free local calls and cable TV with the HBO channel are provided. A continental breakfast is served every morning at this Pine Bluff hotel. A business centre is located off of the lobby. The Arts & Science Center for Southeast Arkansas is less than 3 miles from the Pine Bluff Best Western Plus. The Arkansas Rail Road Museum is a 5-minute drive away. Less than 3 miles from the University of Arkansas at Pine Bluff, this motel offers free Wi-Fi in every room. Guests can enjoy outdoor BBQ facilities located on site. A microwave and a small fridge are included in each room at the Sun Bridge Inn Pine Bluff. A cable TV is also provided. Each room also offers a work desk for guests’ convenience. Lake Pine Bluff and Pine Bluff Regional Park are both within 10 minutes’ drive from the Pine Bluff Sun Bridge Inn. Pine Bluff Arsenal is 12 minutes’ drive away. 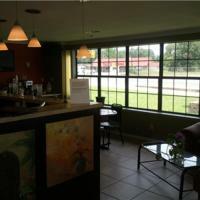 Less than 3 miles from the University of Arkansas Pine Bluff, this motel features rooms with free Wi-Fi and cable TVs. A continental breakfast is served daily. An outdoor pool is available on site. Tea and coffee-making facilities are included in every room at Red Roof Inn Pine Bluff. A work desk is also provided in each room. Guests can enjoy a workout in the fitness centre at Pine Bluff Red Roof Inn. A launderette and business centre are available on-site for guest convenience. Pine Bluff Convention Center, Lake Pine Bluff and the Arkansas Railroad Museum are within 4 miles of this hotel. Delta River Nature Center and Pine Bluff Regional Park are within 10 minutes’ drive from the property. Featuring rooms with high-speed internet access, this Pine Bluff hotel is just 4 miles from University of Arkansas. Classically styled with bright white linens, the guest rooms at Royal Arkansas Hotel and Suites have a TV with cable channels for entertainment. Refreshment facilities include a refrigerator as well as a tea and coffee set-up. Guests of Royal Arkansas Hotel can exercise in the fitness centre. A business centre with computers and internet access is also accessible on site. Delta Rivers Nature Center and Arkansas Historical Museum are each within 2 miles of Royal Arkansas.